11 workers still missing after explosion, fire off La. 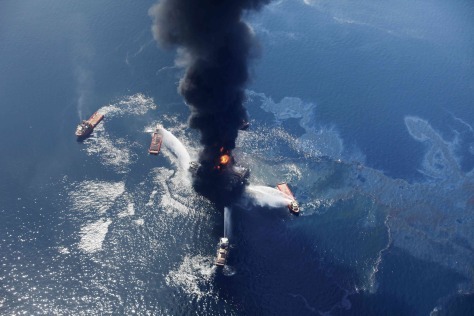 An oil sheen from the oil rig explosion and fire off Louisiana is seen Wednesday as crews try to put out the blaze. The rig sank on Thursday and officials are scrambling to find out if crude is now spilling from below the sea.